Half Day Tours Leave at 9am & 2pm Daily, 7 Days. Private Tours can be arranged. 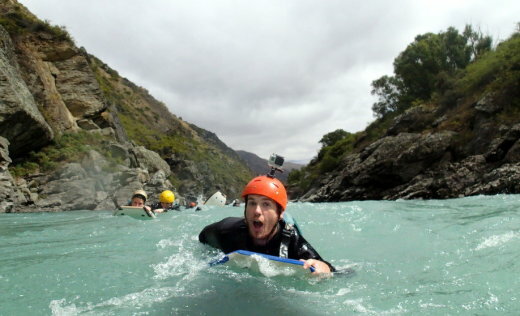 We all know Queenstown is the adventure capitol of the world, so it should be no surprise Serious Fun Riversurfing are the original riversurfing company and still operate where the activity was founded in 1989 on the Kawarau River in Queenstown. In fact, even today there are only 3 places in the world that offer riversurfing, so get your piece of the exhilarating action be sure to book your riversurfing experience with Serious Fun for the time of your life! 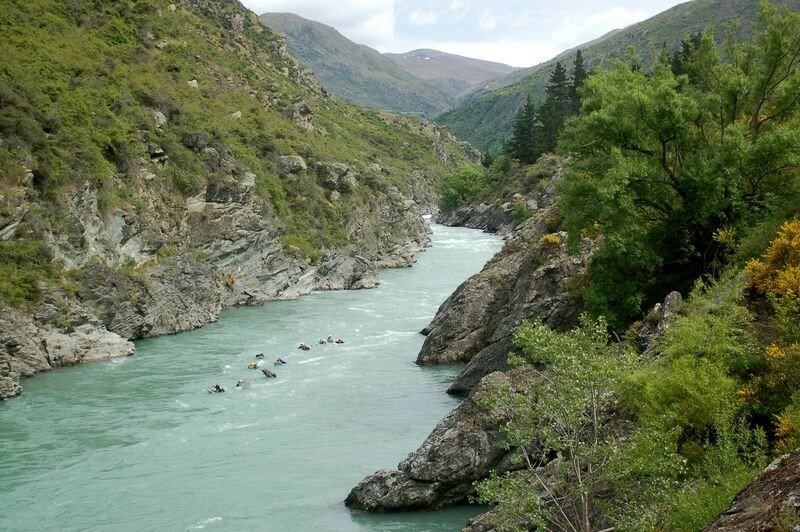 There are two courses to choose from, the first 8.9 kilometre section includes NZ’s best standing wave and longest commercially run rapid as well as calmer sections to relax down. 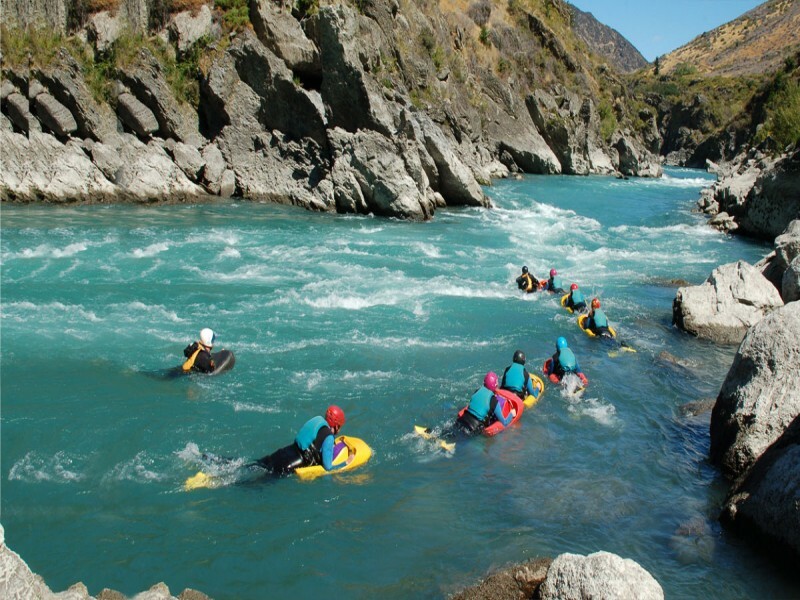 While the second section includes 6 kilometres of fast flowing rapids, boils, and whirlpools to keep you entertained.